The Blue Screen of Death (BSoD) fix - How Do You Tech Naija? Before fixing a Microsoft Windows blue screen or blue screen of death error (BSoD), you must first identify what error it is, as there are multiple types of blue screen errors. may have a bad video card or monitor, resulting in only seeing a blue screen. If you are getting a blue screen and then your computer immediately reboots without being able to read the text in the blue screen, follow the steps below. If you cannot get into Windows to perform the steps below, boot the computer into Safe Mode. If you cannot boot into Safe Mode, you may have corrupt Windows system files, a defective memory chip or a defective hard drive. You should run hardware diagnostic tests to determine if the memory or hard drive is causing the blue screen errors. In the System Properties window, click the Advanced tab or the Advanced system settings link. On the Advanced tab, click the Settings button in the Startup and Recovery section. 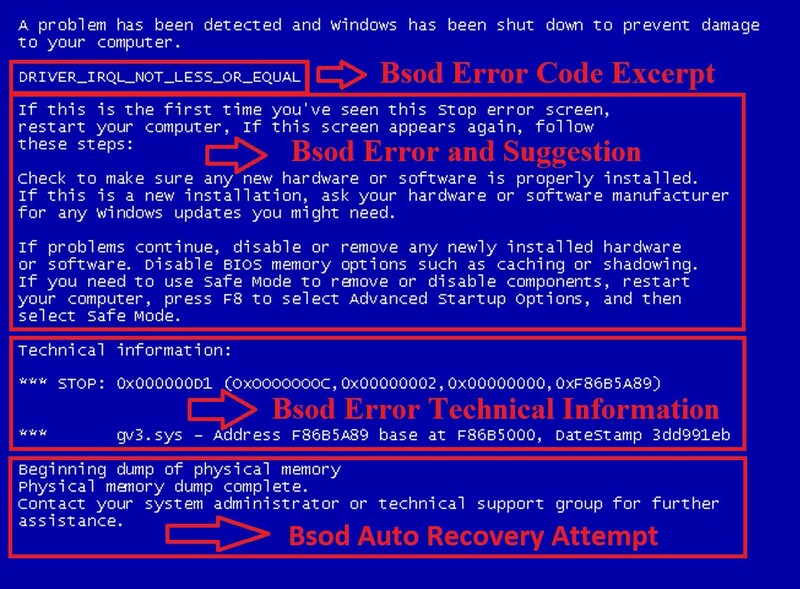 Windows NT, 2000, XP, Vista, and later versions of Windows have a blue screen error that is similar to the example shown below. These error messages often contain more detailed information and will contain information that can be searched for and found. Get either the STOP: error message at the top of the error, or in the “Technical Information:” portion of the error. For example, in the above error, it is STOP: 0x00000019, write the first portion of this error message down. Click here for a list of Blue Screen codes and their solutions. And do leave a comment under this post, I’d like to hear from you! How do you set up a redirect to another page on your WordPress website? Should I upgrade to the Professional Edition of Windows 10?